January 10, 2016 | ProgressTH The first ever object 3D printed from material found in space (a meteorite) has been shown off by Planetary Resources at this year's CES (Consumer Electronics Show) in Las Vegas, Nevada USA. Already, there is a 3D printer on the ISS (International Space Station), being tested out as a stepping stone toward full-scale in-orbit manufacturing. This technology will be necessary as humans spend more time in space, and do so further away from Earth where launching spare parts and new tools may not always be an option. The printer uses plastic filament rolled up on spools that were launched with the printer. Additional spools or recycling will have to be used to print additional items, because manufacturing plastic from scratch in deep space is not yet a possibility. However, there are other projects ongoing that seek to use 3D printing processes to do a variety of other manufacturing and even construction tasks in space, using material found there. 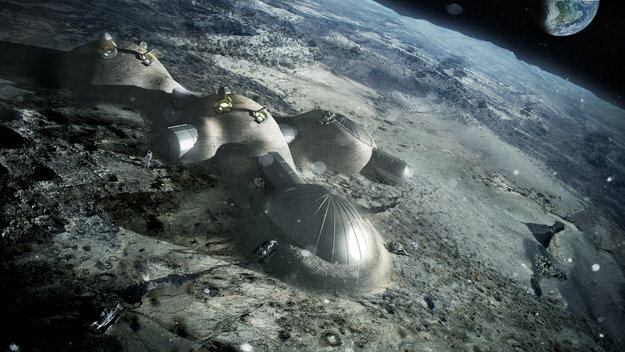 The ESA (European Space Agency), together with architectural firm Foster + Partners have explored the possibility of printing habitats on the lunar surface using lunar soil as an input material. 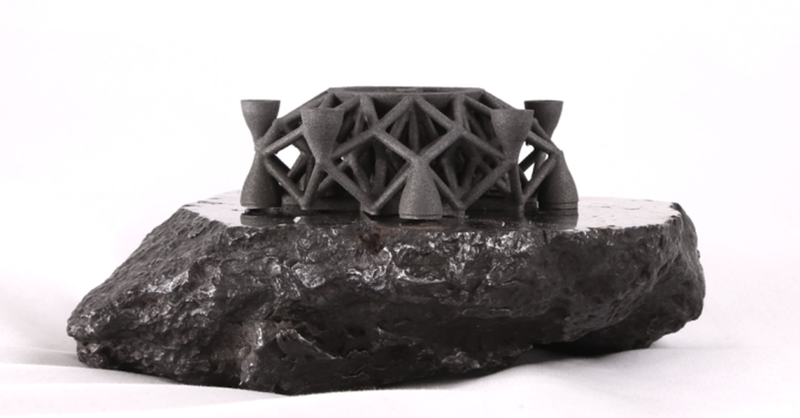 Most exciting of all are plans by asteroid mining firm, Planetary Resources, to turn metals found in asteroids into 3D printed structures both for spacecraft and possibly permanent space habitats. Their latest achievement toward this goal includes a 3D printed sculpture made using nickel-iron found in a meteorite that fell to Earth. 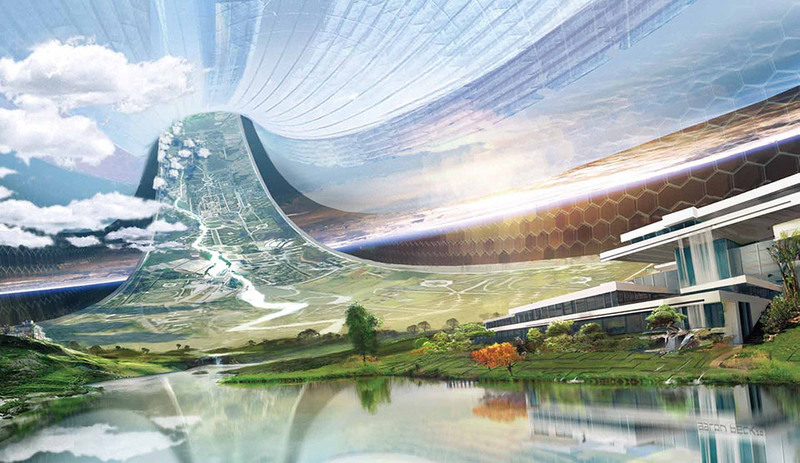 The future of space colonization and industrialization can now be visualized. Planetary Resources, in collaboration with our partner 3D Systems, have developed the first ever direct metal print from asteroid metals. At the Consumer Electronics Show (CES) today in Las Vegas, NV., we unveiled the geometric object on the Engadget stage. While it may seem like a small step, the implications are huge. Full-scale processing and printing infrastructure set up around a captured asteroid could potentially 'spin it' into an entire artificial world not unlike various habitat configurations designed by NASA engineers over the years which have become the basis of science fiction blockbusters like Elysium and Interstellar. Artificial worlds like this are already 'theoretically possible,' but with in-orbit construction being developed, they may soon be practically possible as well. Currently, launching significant amounts of construction material into orbit to construct such habitats would be nearly impossible. However, building them in orbit from material already there, would be ideal. Not only could the habitat itself be built, but an expanding fleet of construction equipment could be created onsite as well, exponentially speeding up the construction process. 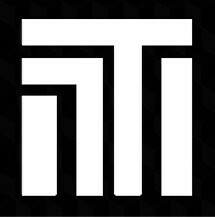 There is of course a lot more to do before making this a reality. However, a proof of concept is now a tangible reality, presented by Planetary Resources, who has already also launched the first members of its asteroid mining constellation of satellites.